From the display to the camera, here's what's new about Google's updated flagships. Update 11/28/17: Google Lens is now available as part of Google Assistant. Google is back with a follow-up to its acclaimed Pixel phone, and it's not quite what we expected. 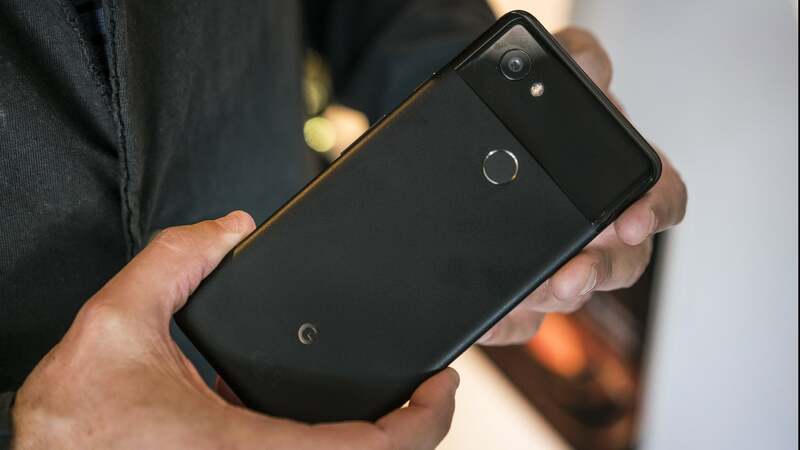 Yes there is a Pixel 2 and a Pixel 2 XL, but unlike last year, they aren't larger and smaller versions of the same phone. The smaller Pixel 2 looks a lot like last year's phone, but the XL version has a new screen size, ratio, and design. The Pixel 2 XL is a worthy successor to the original Pixel XL, with AI smarts, a stellar camera, and a pristine Android Oreo experience. Check out our full review. Discover the Pixel 2 XL for the first time with us as we check out the new design and features. While the smaller Pixel 2 has the exact same display as last year’s model—a 5-inch 1080x1920 Full HD AMOLED screen with 441 PPI density—the Pixel 2 XL has undergone a dramatic change. 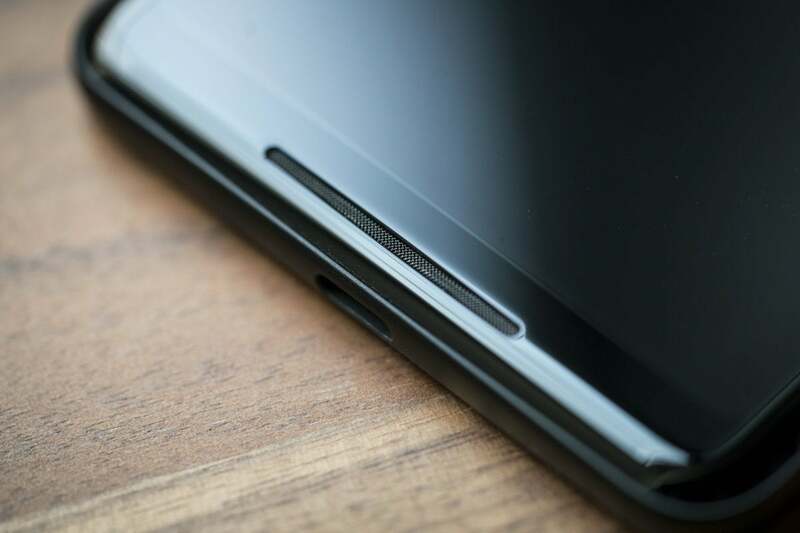 Not only is it bigger (6 inches vs 5.5 inches), it also has a new ratio (18:9 vs 16:9), and a new manufacturing process (pOLED vs AMOLED) with a 538 psi density. It’s basically the same screen as the LG V30. 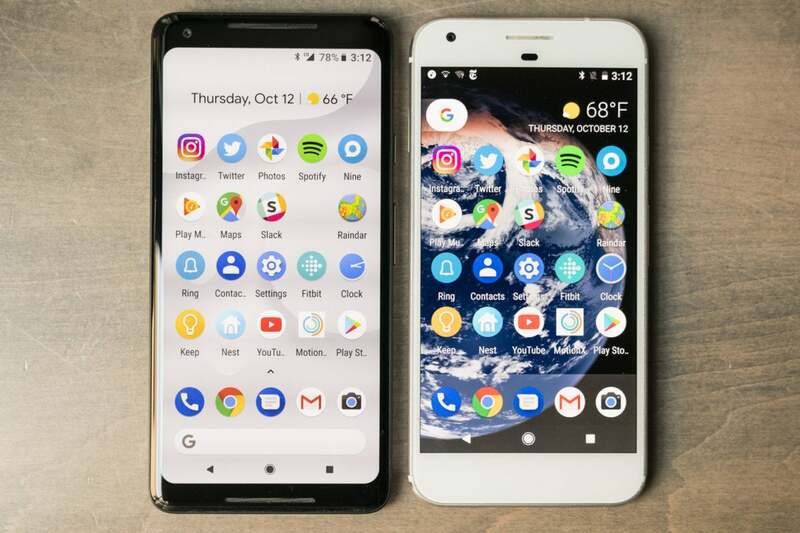 The Pixel 2 XL (left) is just about the same size as the original Pixel XL from 2016, but offers more vertical screen real estate. Like the screen sizes, the two Pixel 2s are vastly different in design. The smaller one has the same giant bezels as the original Pixel, but the Pixel 2 XL adopts much skinnier bezels and curved edges on the side of the diplay. Both phones feature the same aluminum rear design, with a camera in the upper left corner surrounded by a glass antenna window that stops just above the fingerprint sensor. And Google has added a dash of color to the power button on some models: On the Kinda Blue Pixel 2 it’s turquoise and on the Black & White Pixel 2 it’s red. The Pixel 2 XL has front-facing stereo speakers. Headphone enthusiasts will be bummed to learn that neither Pixel 2 has a 3.5mm jack, so you’ll need to either use a pair of Bluetooth buds or the bundled USB-C-to-3.5mm adapter. To mark the occasion, Google is selling a pair $159 Bluetooth Pixel Buds. However, Google has added front-facing stereo speakers to both Pixels, giving the handsets a boost in the sound department. And what’s more, Google has added 25 volume “steps” for precise control over the loudness. Google reduced the size of the glass visor on the Pixel 2 XL, but now there's a slight camera bump. Like the original Pixels, both phones have the same camera, and it’s virtually unchanged from last year, at least on paper: 12.2MP, f/1.8, phase detection & laser autofocus, dual-LED flash. This year’s camera does have optical image stabilization to aid with low-light shots and shaky video--as well as a slight camera bump--but most of the enhancements happen behind the scenes. 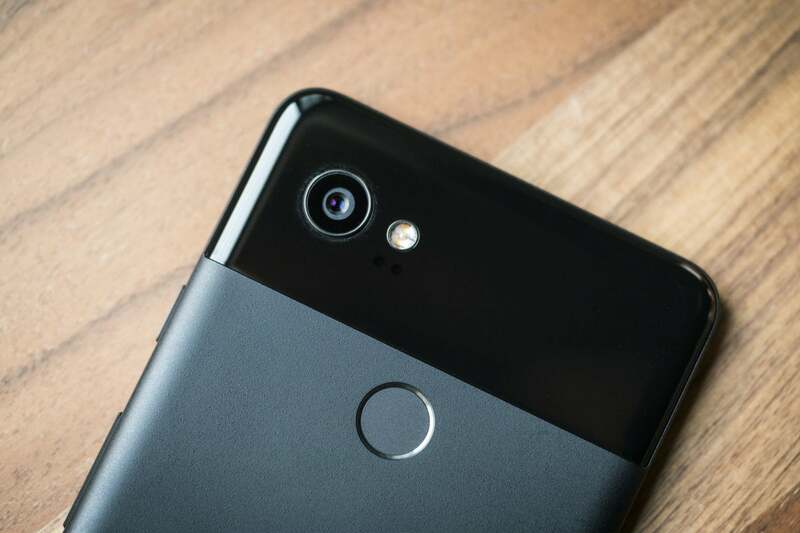 For the Pixel 2, Google has built its own image signal processor called Pixel Visual Core that helps with performance and efficiency. It’s also found a way to emulate portrait mode without needing a second camera. 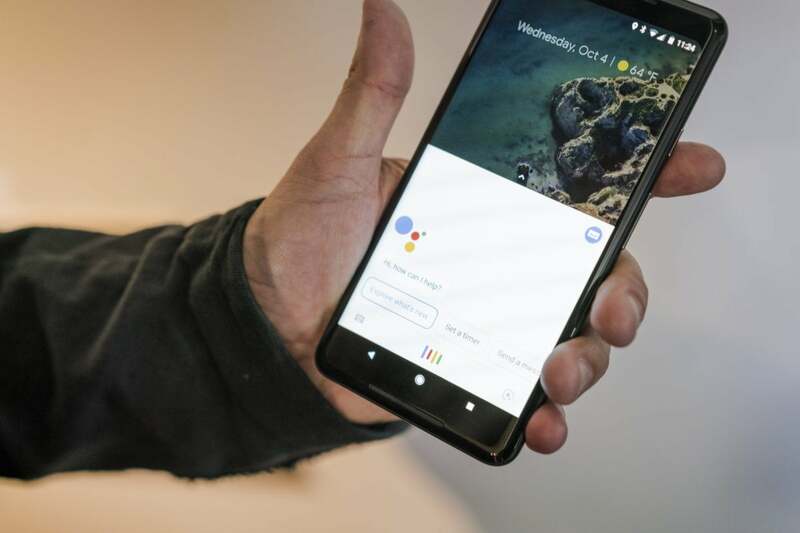 You can now launch Google Assistant by squeezing using the Pixel 2's Active Edge. The Pixel was the first Android phone to ship with Google Assistant built in, but the Pixel 2 takes it a step further. Now you can summon Assistant in a new way. Along with the home button and hands-free “OK Google,” you can also squeeze the sides of the phone to launch Assistant on the Pixel 2. It’s a feature you might remember from the HTC U11, but you can’t customize it on the Pixel 2. The Google search bar has been moved to the bottom of the screen. Like the Nexus before it, the Pixel is Google's showcase for stock Android, so the Pixel 2 is running the freshest version of Oreo, bringing features like notification dots, picture in picture, and adaptive icons. There's also a new Pixel Launcher with a couple changes. A new At A Glance widget shows upcoming calendar appointments and traffic updates along with the date and weather, and the search bar has been moved to the bottom of the screen for easier access. And the best feature of all: Now Playing will automatically identify songs that your Pixel 2 hears. 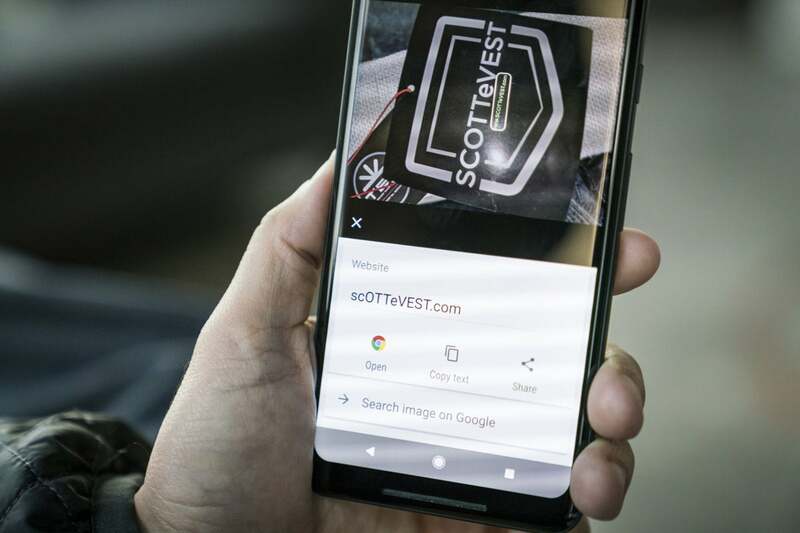 Google Lens can spot and extract email addresses and URLs from photos. Google has included a preview of its new AI-powered Google Lens feature on the Pixel 2. But it's not a standalone app, it's actually part of the Photos app. When you open a photo, you'll see a new camera icon that will launch Google Lens. It's still in beta mode, so the results can vary, but it will attempt to ID what's in the picture and offer information, buying links, or related images. It's particularly useful when scanning addresses or URLs. And you can use it with Assistant as well. When you pull up the Google Assistant screen, you'll see a Lens icon in the lower right corner of the screen. Tap it and you'll be taken directly to the viewfinder, where you can tap things you're interested in without needing to snap a picture and open Photos. For example, if you see a landmark, you can launch assistant, tap the Lens icon, then tap the building on the screen, and it will bring up information about it. The Pixel 2 has a 2,700mAh battery and the Pixel 2 XL has a 3,520mAh one, roughly the same as the ones that were in the original Pixels. Of note, however, the Pixel 2 still doesn't feature support for wireless charging, but it does ship with an 18W fast charger. The Pixel 2 starts at $649 for 64GB of storage and tops off at $749 for 128GB while the Pixel 2 XL costs $849 for 64GB of storage and $949 for 128GB. Both phones are available exclusively through Verizon, though unlocked models can be bought through the Google Store and other retailers. Back in the early days of Android, there was a button alongside the back, home, and recents buttons that opened menus at the top of the screen. On the Pixel it's back, sort of. When in the Settings app, you can open the overflow menu (where applicable) by tapping the empty space next to the square recents button and it will expand the options. It's not clear if this is a bug or a feature, so it's possible it's removed in the next Oreo update. Android Oreo doesn't technically have a dark theme, but the Pixel 2 does. However, you can't turn it on whenever you'd like. When you choose a dark background (like one of the planet earth images inside the Living universe wallpapers folder), it will automatically switch app drawer, and quick settings to a dark theme. If you're looking to learn how to turn off Active Edge or use the home screen in landscape mode, check out these tips and tricks. Can I use an SD card for storage in my Pixel 2? Nope. Google didn't add support for an SD card in the Pixel 2. Is the Pixel 2 water resistant? Yes! Both Pixel 2s feature IP67 water and dust resistance, which means you can submerge it in S meter of water for up to 30 minutes. How long will I get Android updates on my Pixel 2? 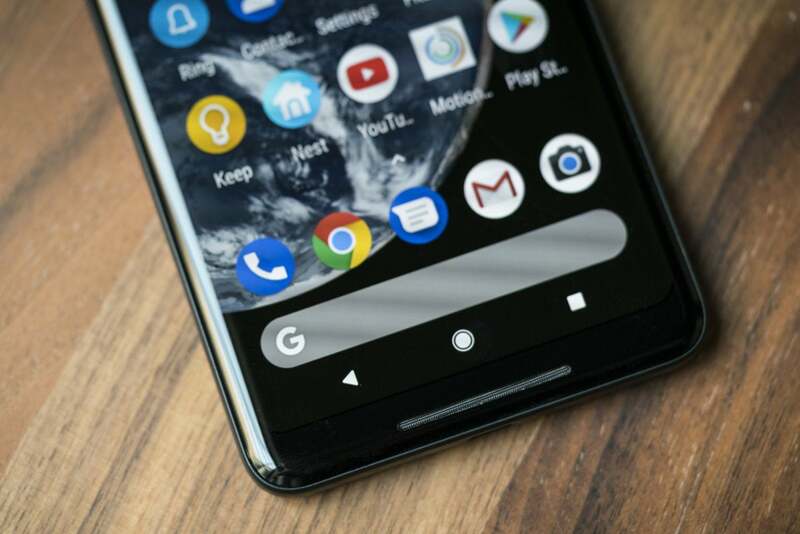 Google has announced that the Pixel 2 will receive three years of Android version updates, an improvement over the two years that were guaranteed with the original Pixel and Nexus devices. Will I still get free Google Photos storage with my Pixel 2? Yes, all Pixel 2 buyers will get unlimited full-sized photo storage in Google Photos. However, the offer is only good until 2020. After that, any new photos you take will be downgraded to high-quality when uploading to the cloud. Do I need a new Daydream headset for my Pixel 2? Google released a new Daydream headset alongside the Pixel 2, but you can still use the new phones with the old headset. The new version has a slightly difference design and comes in three colors: black, gray, and pink, but otherwise it's very similar to the original model. It does, however, feature wider lenses with 15-degree larger field of view. 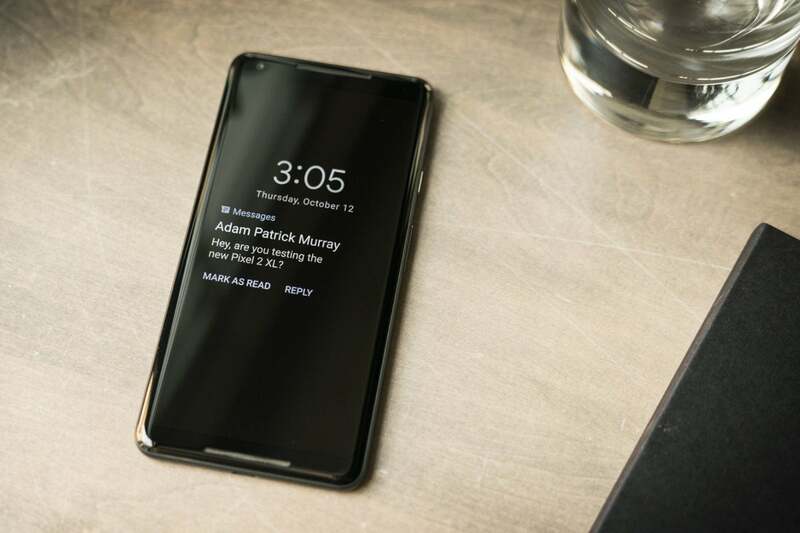 I've read that the screen on the Pixel 2 XL is really bad. Is that true? It's hard to say. We didn't experience any issues with the Pixel 2 XL screen on our review unit, but other reviewers have noticed inconsistent colors and wonky white balance. If your Pixel 2 exhibits any issues with the display, contact Google about a replacement.